Meet the industry's first adaptive, threat-focused next-generation firewall (NGFW) designed for a new era of threat and advanced malware protection. Cisco® ASA with FirePOWER Services delivers integrated threat defense for the entire attack continuum - before, during, and after an attack. How? By combining the proven security capabilities of the Cisco ASA firewall with the industry-leading Sourcefire® threat and Advanced Malware Protection (AMP) features together in a single device. 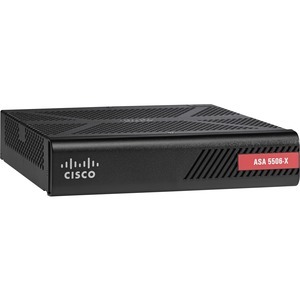 The solution uniquely extends the capabilities of the Cisco ASA 5500-X Series Next-Generation Firewalls beyond what today's NGFW solutions are capable of. Whether you need protection for a small or midsized business, an enterprise, or a single data center, Cisco® ASA with FirePOWER Services provides the needed scale and context in a NGFW solution.